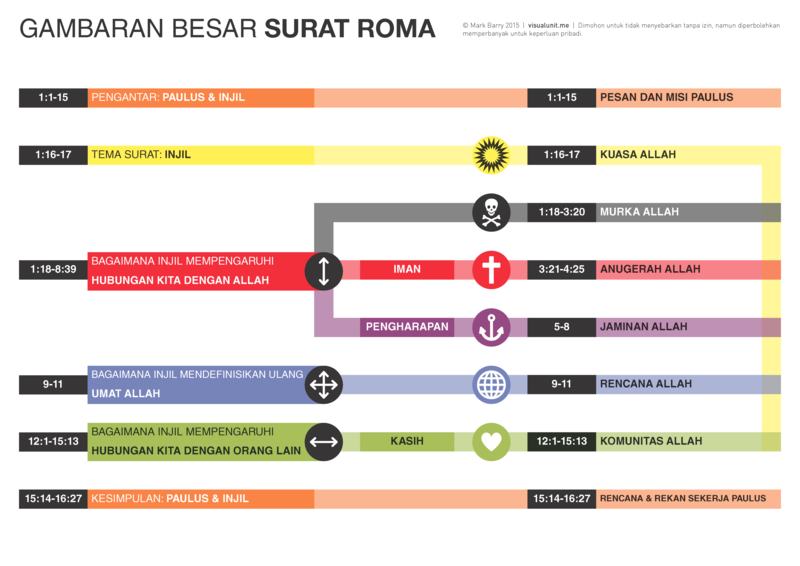 Indonesian version of Romans: The Big Picture. PDF version (43 KB). Translation by the Indonesian Christian Church Melbourne. A revised overview of Paul’s letter to the Romans. 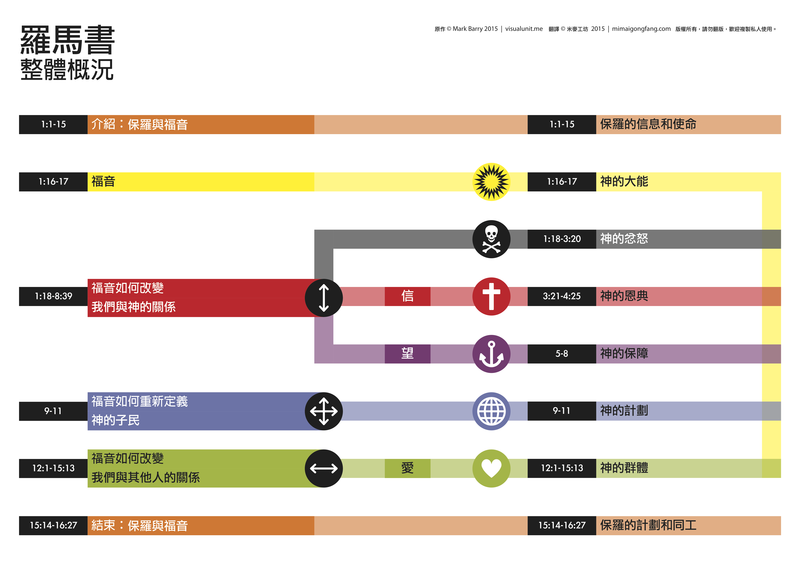 Simplified Chinese script, translated by mimaigongfang.com. PDF version (250 KB). 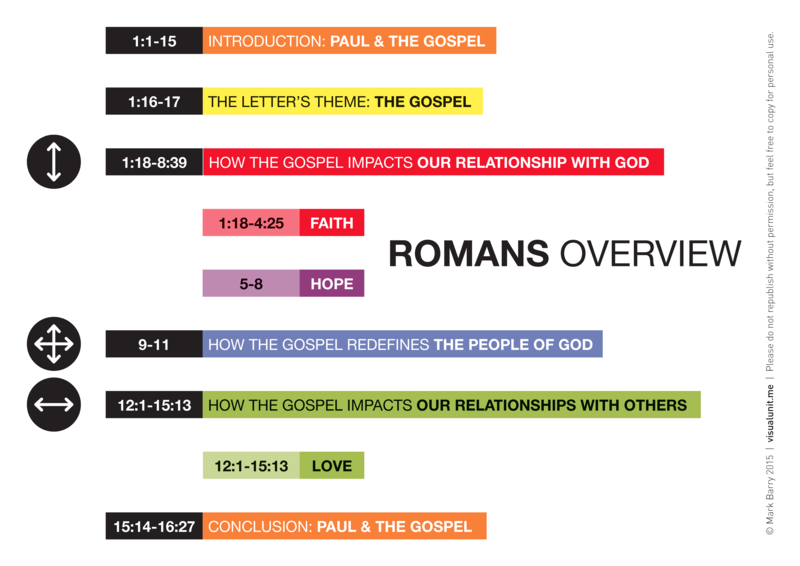 This overview aims to show how the main theme of Romans, namely Paul’s gospel of salvation in 1:16-17, is expressed throughout the letter. Paul outlines this theme vertically, i.e. 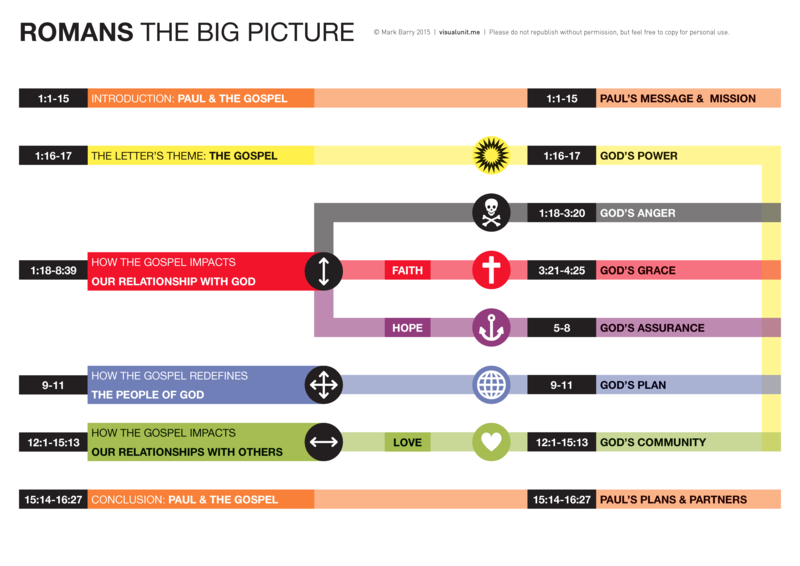 how the gospel impacts our relationship with God in chapters 1-8 ( = faith + hope). Paul outlines this theme horizontally, i.e. 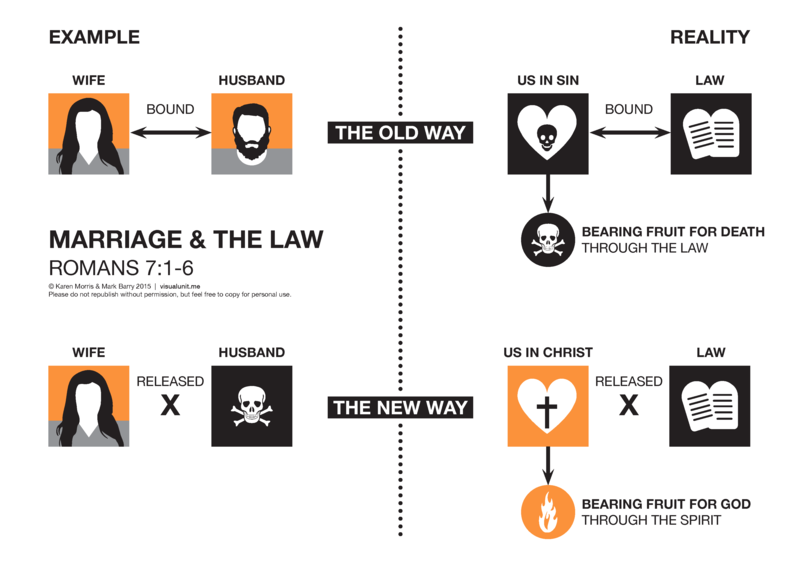 how the gospel impacts our relationships with others in 12-16 ( = love). Chapters 9-11 are the bridge from the vertical to the horizontal, i.e. 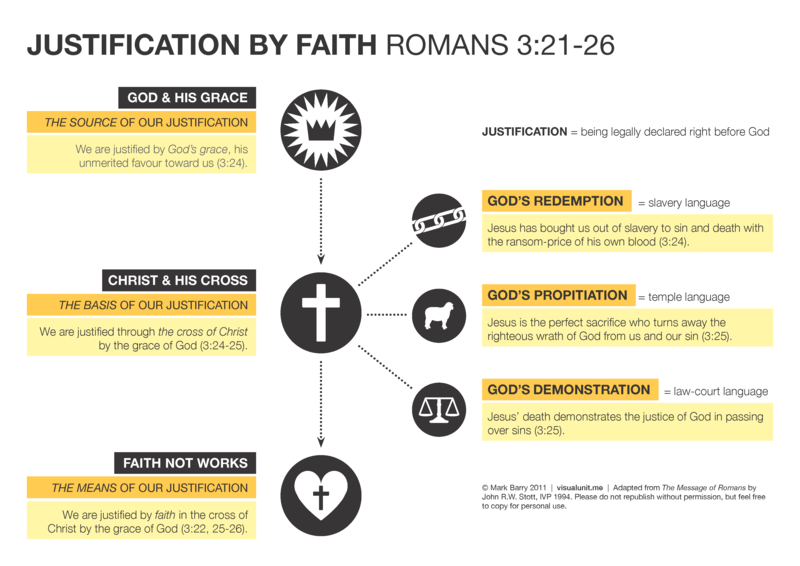 how faith in the gospel redefines the people of God, i.e. Jews and Gentiles together in Jesus.